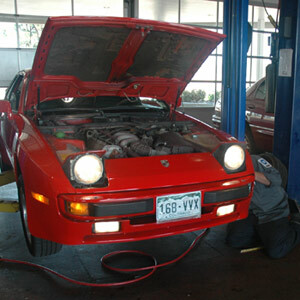 Looking for an auto repair shop you can trust right near Centennial? Welcome to Keller Bros. Auto Repair, your trusted source for auto repair in Centennial, CO! Our ASE Certified technicians have been providing quality, trusted auto repair for the community of Centennial, CO, for over 40 years. We are located just minutes north off of Broadway on Dry Creek Rd. From preventative maintenance such as oil changes, fluid flushes, and alignments to major engine repairs – our auto repair shop is your one stop for comprehensive car care! 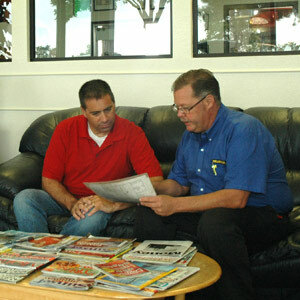 Why Trust Keller Brothers With Your Car? When you bring your vehicle to Keller Bros., you’ll leave with the peace of mind knowing your car is in qualified hands. Our certified technicians undergo continual training to ensure they have the expertise to perform any service your vehicle needs to the highest standards in the industry. On top of ASE Certified Master technicians and our caring staff, we back up our work with a 3 year/36,000 mile warranty that covers parts and labor! Stop by our auto repair shop to see why Keller Bros. Auto Repair is your trusted source for car repair and maintenance in Centennial, CO! We are open Monday-Friday, 7 am to 6 pm. Ready to come in? Call us at 303-347-1010 or fill out the form below to schedule an appointment right now.